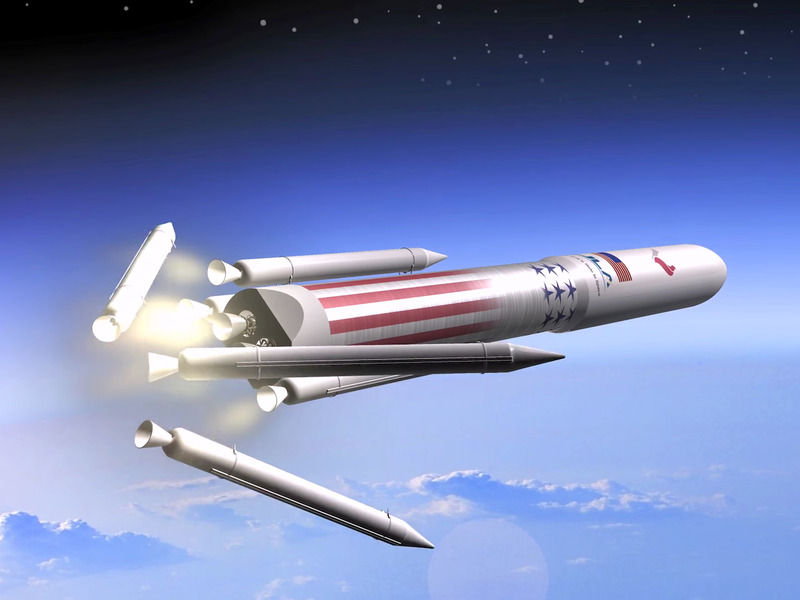 United Launch Alliance/YouTubeNASA’s ‘Tipping Point’ awards will help United Launch Alliance develop its next-generation Vulcan rocket. NASA just awarded six private companies a total of $US44 million ($AU60 million). The agency’s “Tipping Point” program is intended to help the commercial space industry push next-generation technologies over the finish line. The projects awarded funding include new moon-landing systems and a method to recover expensive rocket engines. NASA is doling out a total of $US44 million in awards among six private companies, including Jeff Bezos’ secretive rocket company, Blue Origin. The new contracts are part of the agency’s third “Tipping Point” competition and an ongoing push to commercialize space. The goal of the awards is to help companies take what NASA sees as exciting, almost-ready-to-debut devices and “tip” them over the finish line into commercial markets. The money covers 10 distinct projects, including ways for robots to land on and explore the moon, a next-generation fuel cell to power deep-space missions, a deep-space propulsion system, and an inflatable shell that may one day help land people on Mars. “These key technologies will support NASA’s science and human exploration missions in the future,” NASA Administrator Jim Bridenstine said in a press release. The biggest winner of the competition was United Launch Alliance, formed by Boeing and Lockheed Martin. The aerospace company (which is about to launch NASA’s Parker Solar Probe to “touch” the sun) scooped up $US13.9 million. Blue Origin, meanwhile, walked away with $US13 million in contracts. Project: “Stand-Alone Sensor for High Precision Planetary Landing” ($US10 million)What it is: A “low-cost, reliable, high-performance, stand-alone” system to help Astrobotic, a former team in the Google Lunar X Prize competition (which ended without a winner), continue its work to land a commercial lunar spacecraft on the moon and perhaps elsewhere in the solar system. Project: “Cryogenic Fluid Management-Enhanced Integrated Propulsion Testing for Robust Lander Services” ($US10 million)What it is: A propulsion system powered by ultra-cold liquid fuels for landing a robot on the moon. Project: “Flight Qualification of the DSE, MON-25 MMH Rocket Engine” ($US1.9 million)What it is: A crucial test of a deep-space rocket that may help Astrobotic land its probe on the moon. Project: “Cryogenic Encapsulating Launch Shroud and Insulated Upper Stage” ($US1.6 million)What it is: A way to insulate a rocket’s ultra-cold cryogenic fuel tanks and protect them “from meteoroids and debris” in space. Project: “In-Space Xenon Transfer for Satellite, Servicer and Exploration Vehicle Replenishment and Life Extension” ($US2 million)What it is: A way to replenish xenon fuel in satellites, helping them stay in orbit longer. NASAAn illustration of an inflatable shield that could help spacecraft safely return to Earth, Mars, or other worlds with atmospheres. Project: “Cryogenic Fluid Management Technology Demonstration” ($US2 million)What it is: A way to keep an upper-stage rocket’s cryogenic fuel from boiling into a gas in space. The system would allow the rocket to remain capable of firing up weeks or months after launch, enabling unique deep-space missions. It would also help prevent explosions, which generate dangerous space debris. Project: “Integrated Vehicle Fluids Flight Demonstration” ($US10 million)What it is: This system aims to use liquid hydrogen and oxygen, which are normally used just for propulsion. Extra fluid might be used to pressurize fuel tanks, generate electricity, propel a mission through space, and ultimately reduce the need for additional systems (e.g. batteries) that take up precious weight. This might better enable long-duration space missions, perhaps to the moon. Project: “Mid-Air Retrieval Demonstration” ($US1.9 million)What it is: This may be a way to recover (and reuse) rocket engines and other expensive parts after they fly to space. 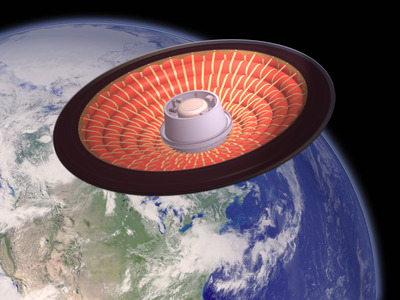 A big inflatable aeroshell would unfurl and protect the part during atmospheric reentry. Once the payload reaches air that’s dense enough, parachutes would further slow descent. Then a powerful helicopter would swoop in to snag the parachutes and the rocket parts. Both awards to Bezos’ aerospace company appear to be related to work that will help Blue Origin drop a “Blue Moon” lander on the lunar surface in 2023, as GeekWire wrote in July. ULA, meanwhile, is working on a new and partly reusable rocket system called Vulcan that may enable it to compete with SpaceX. Parts of that system appear to be included in NASA’s Tipping Point awards.